Someone can explain me this map that I found? 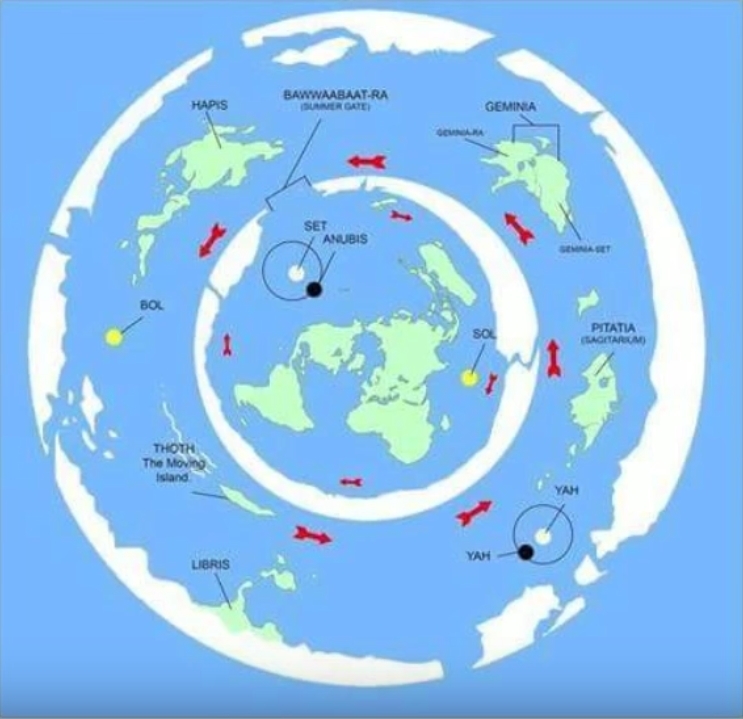 It would be interesting if there were lands beyond antartica, but most of the time this idea is promoted by the pagan flat earthers who don't want to accept that we live in an enclosed world. They don't want to be obliged to think of God and come to the Catholic religion. If this map is true, then the dome would be bigger than we thought. It is possible, but I suppose we could ask the question of is there any evidence besides this source? Even human traditions?